Happy Tail- Luna has been a lovely addition to our little pack. I am so lucky to have her and considering everything she has been through (living on the streets of Mexico) she has adjusted amazingly. She is obsessed with anything edible (and some things that are inedible too), she loves snoozin in the sun, coconut oil, hiking, and taking long naps in her princess bed. She makes us laugh everyday with her clumsiness and her goofy (and sassy) expressions. She is trying really hard to be best buddies with my other dog, Yogi, and he is definitely warming up to her. 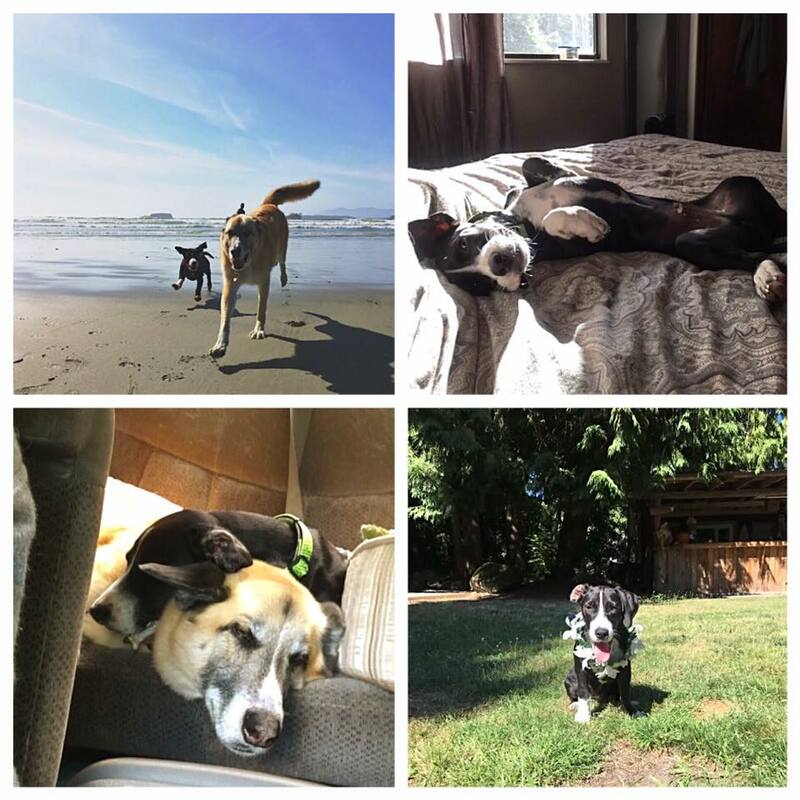 Luna has been the highlight of my summer and I can’t thank Jesse and Raincoast Dog Rescue enough for walking me through this journey and for the continued support. Happy Tail- Luna is one of the sweetest dogs I have ever met! Everywhere we go people stop us just to pet her. Even though we haven’t had her for long she has already learned so much and has completely stolen our hearts with her goofy and loving personality. She also gives the best cuddles and is a great co-pilot during car rides. 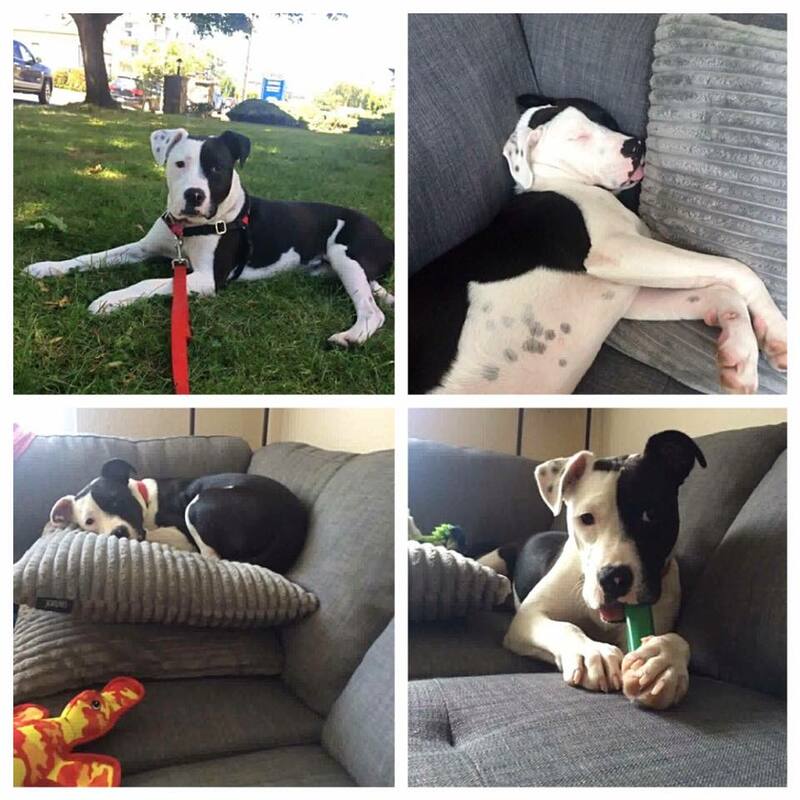 Raincoast did an amazing job at helping us find a dog that fit our lifestyle and they were so helpful during the fostering process. Luna is going to need a brother or sister in the future and we will definitely be adopting through RainCoast again. Thank you! Happy Tail- When we first adopted Marlon, he was so fearful of everything! He hardly came out of his kennel, and jumped at small noises. When he got too scared, he would just lay down and not move anymore, which he did quite a bit when taken outside or when someone tried to pet him. He did not want to be outside ever, and had some potty troubles. He did not chew, play, or accept treats. Since then he has opened up and gained confidence in leaps and bounds, and we have a wonderful little man! Now Pip, he will get his harness on and run to the door, tail wagging a mile a minute to go for a walk on the Goose or run in the back yard. He loves treats, and will eat little nibbles we put on the floor for him. He has a favorite toy to play with, and loves his Kong. His hobbies include wrestling with blankets, and he is our house’s undisputed #1 snuggler! He still has a ways to go on his confidence, but we are slowly working on it. We have joined a basic obedience class, and he is a very quick learner once he figures out what you want. He can be quite shy still, especially around children, but we’re making progress. Pip has made our lives better for having arrived, and we can’t wait to learn and grow with him further. 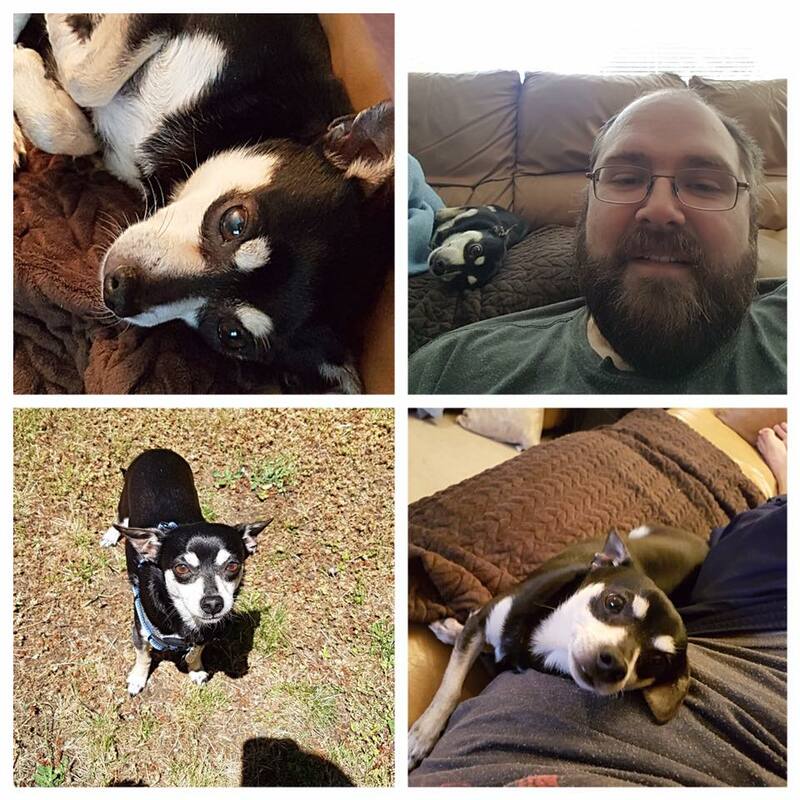 Jesse has been incredible, helping us out a lot when we first wanted to adopt and continuing now, as Pip needs a little bit of dental treatment from his old life and RainCoast is taking care of it. I always mention where we adopted him from, as everyone we meet loves how cute he is and they always ask. Adopted!! Yaaay Coal and Cali! Happy Tail- After buying a house, we knew it was finally the right time to welcome a dog into our lives. So, why not two? 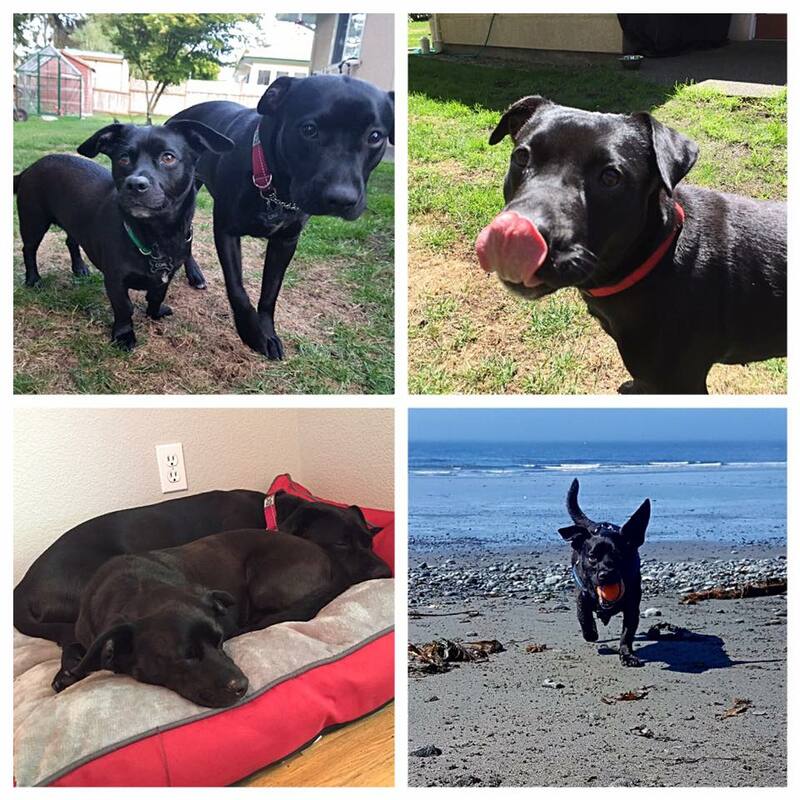 Coal and Cali are so bonded and we are so happy that they get to continue their journey together with us. They bring so much joy to our lives! They both give lots of cuddles and kisses, love to play and do outdoor activities. Coal loves to play fetch but Cali would rather just run around with the ball in her mouth. We feel so lucky to wake up to their sweet faces every morning. Thank you, Jesse, for making this possible. 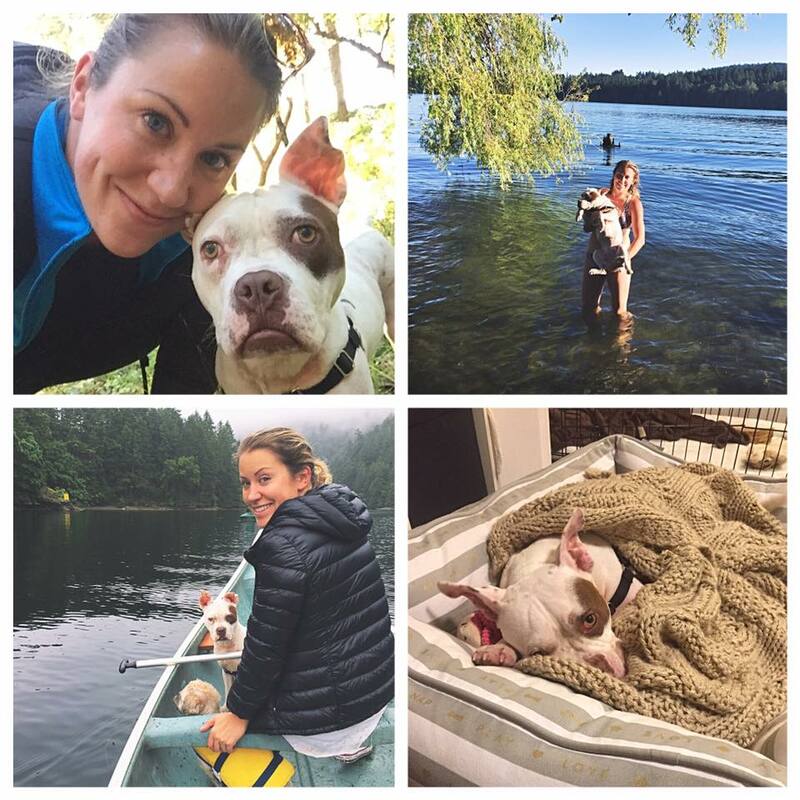 We highly recommend adopting through RainCoast Dog Rescue Society! Happy Tail- We are so happy to have added such a loving addition to our family such as Gary. Since the first day he was in our home it has been as if he has always been here, like it was meant to be. 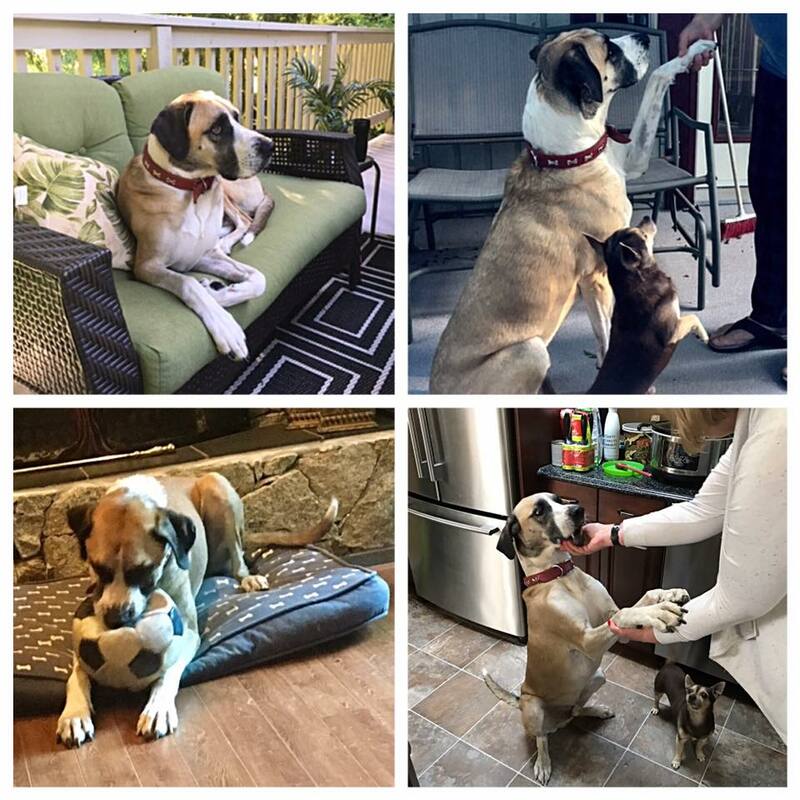 Gary has a huge loving personality and demeanor that matches his size. He gets along so well with our female dog, they have become bonded. We’re so glad it has worked out on so many levels in such a positive way! 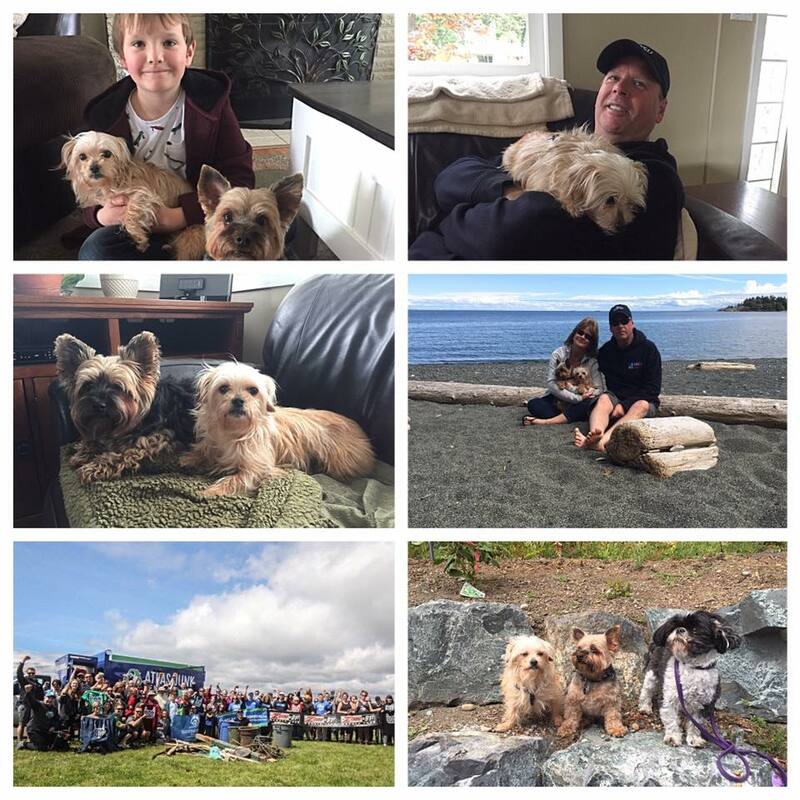 Thank-you Jesse and RainCoast Dog Rescue Society, you made this possible! 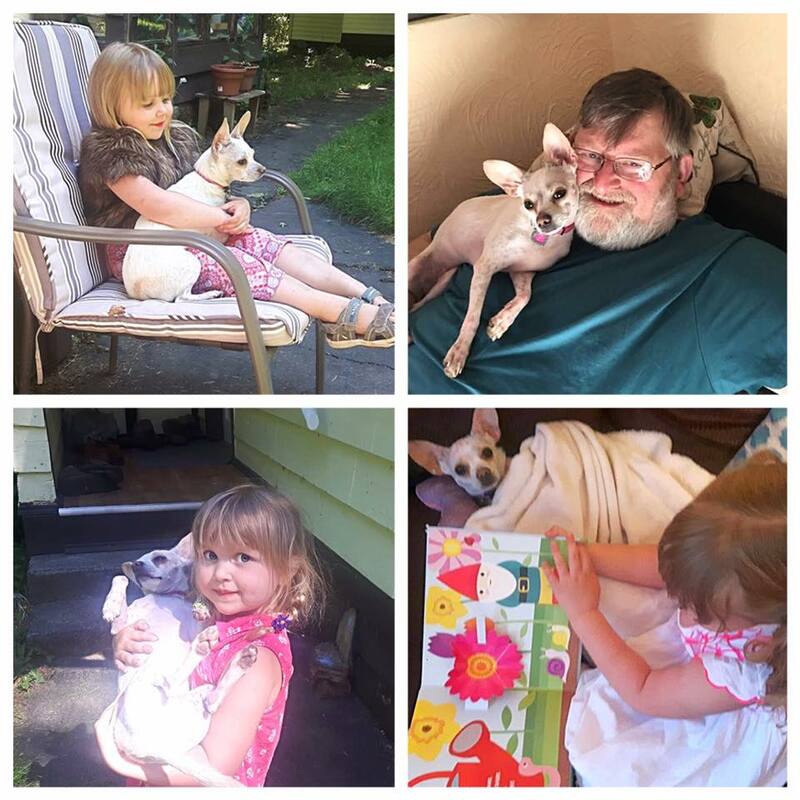 Happy Tail- We can hardly believe it was only a month ago that we meet Burt at an adoption event in the Bosley’s on Burnside.We had recently lost our dog to cancer and weren’t sure if we were ready to invite another dog into our lives. Although Burt was unsure of new people and was very cautious around us we knew that he was our dog and we could not leave without him. He has so much love to give and is working hard to overcome his hesitancy around people and new situations. He is the best companion and just wants to be with us, whether that is going for a coffee, long walks on the beach, a car ride or just snuggling on the couch. It is a complete myth that we rescue these dogs – they in fact rescue us. 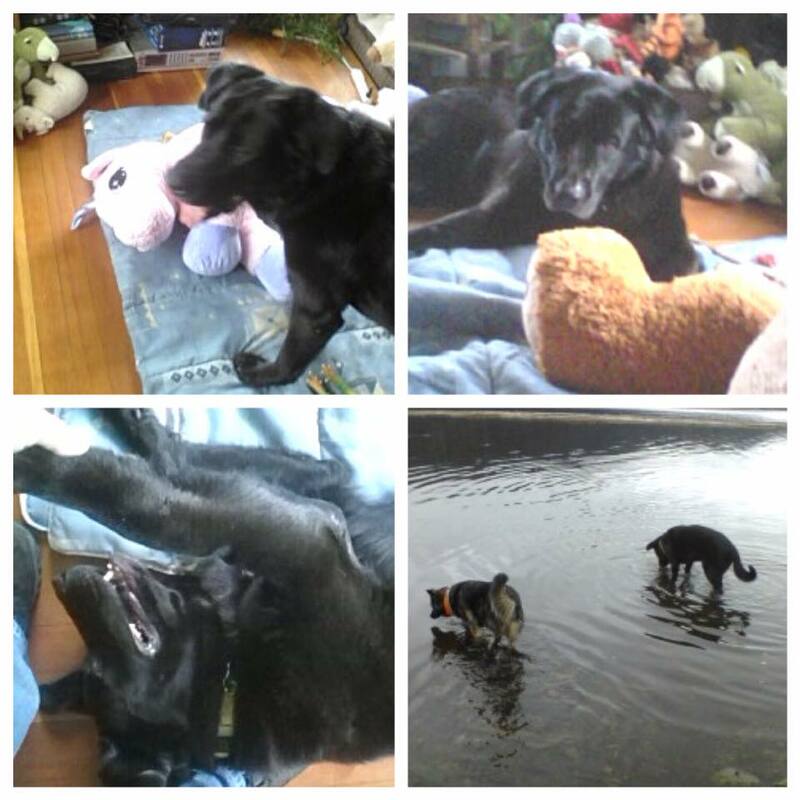 Thank you Jesse – we love our Burtie, the wonder dog! Happy Tail – Thanks Jesse at Raincoast for all you do, keep up the great work! Izzie (formerly Tiffany) is an amazing addition to the family, she may be small, but she has a huge personality and we all love her 🐶❤️ She fits right in, she loves her walks with her new buddy Koda and loves car rides, especially when we end up at the beach. 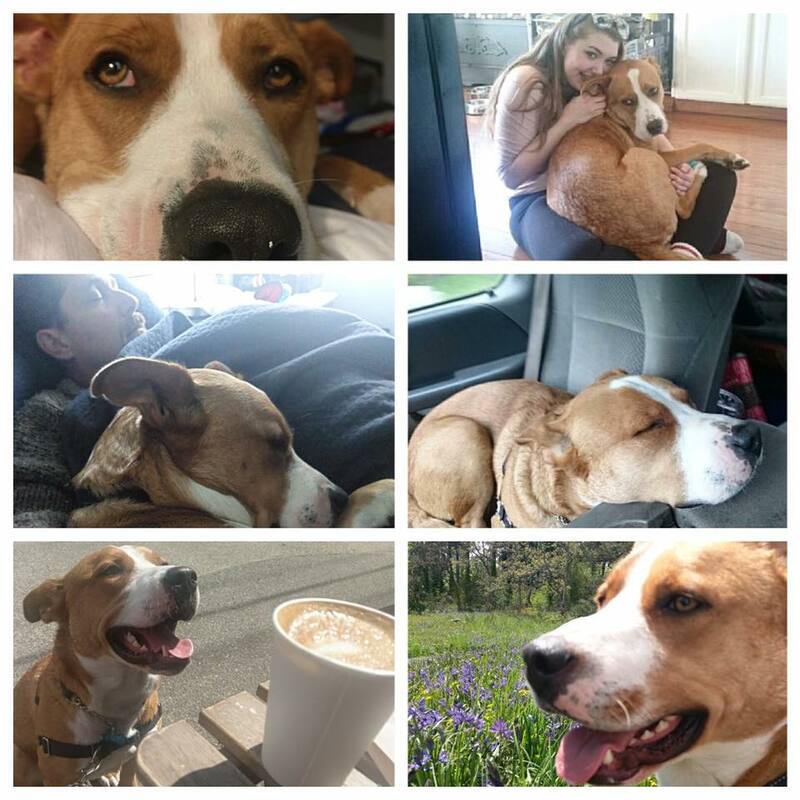 She’s an absolute lap dog…any lap will do and loves to cuddle, she’s a real sweetheart. Izzie helped out on her first Surfrider beach cleanup on Sunday and she was a rockstar, she gets along with everyone. I can’t imagine a better fit, she’s amazing and we thank you for letting us adopt her.